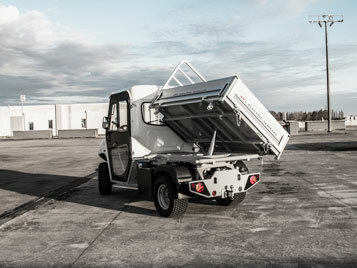 The ATX range of electric truck by Alke' embraces flexibility and efficiency. 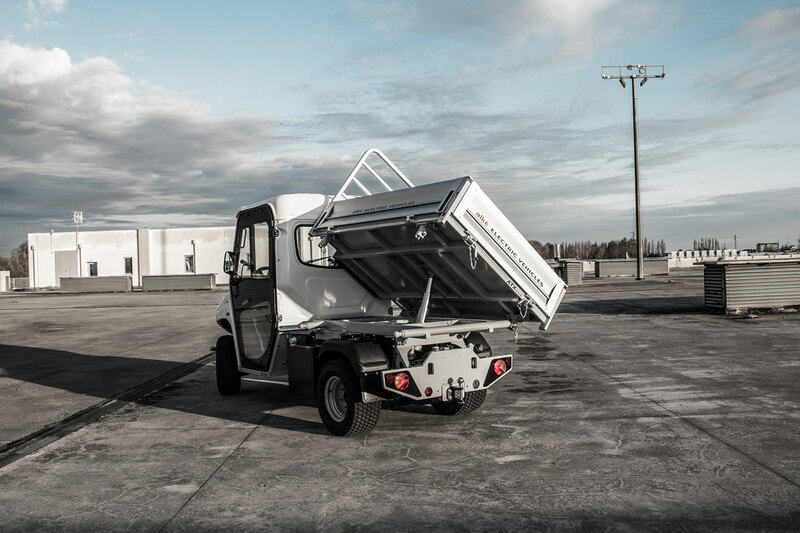 Compact dimensions allow access to areas otherwise difficult to reach and their 1,000 kg load capacity means they are perfect for any type of operation. 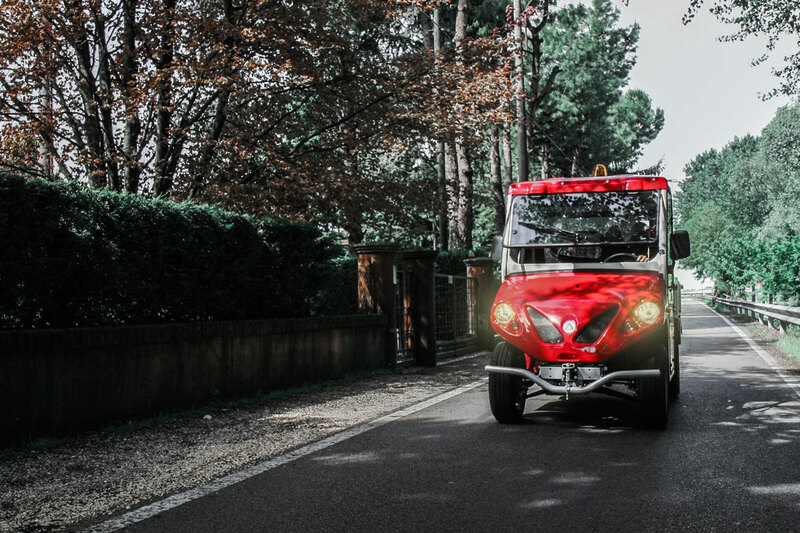 Why choose Alke' electric truck? 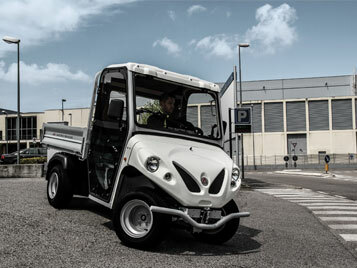 Alke' has designed and built a line of compact electric trucks specifically for operations in an urban context. 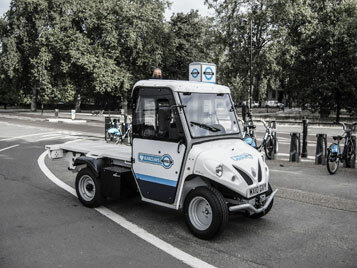 Many local councils have chosen these vehicles not only for their compact dimensions ensuring agile and comfortable work in all situations but also their high performance. 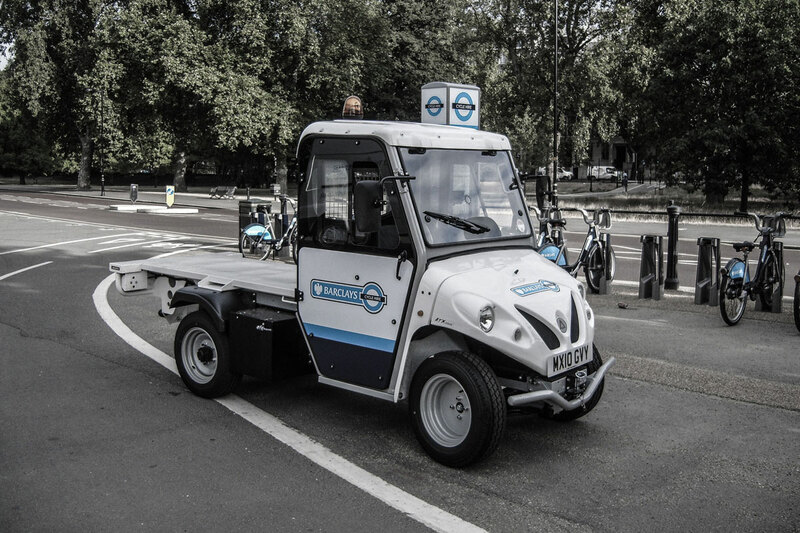 These models have European L7e type approval allowing them to be driven on public roads; they are consequently ideal for tasks such as maintenance of roads and bicycle lanes - yet they can also be used in confined spaces such as warehouses or buildings. Very quiet operation is an added bonus: there are many highly sensitive areas where a peaceful and quieter atmosphere must be maintained. 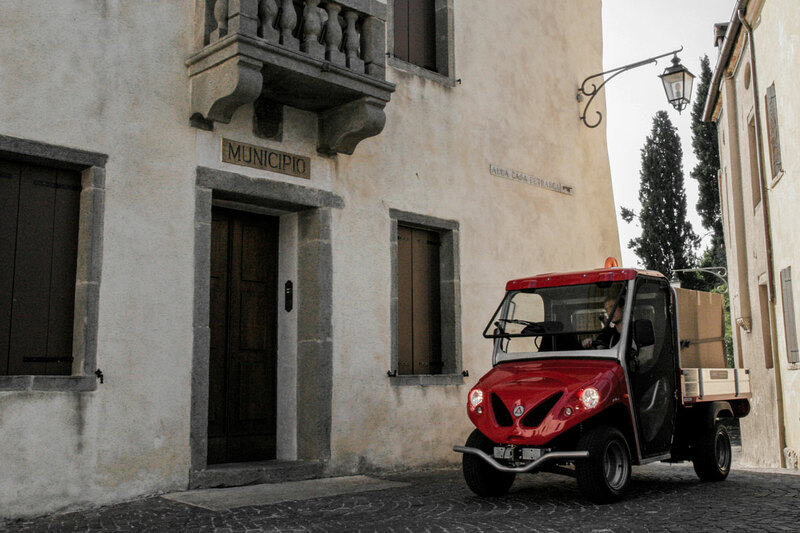 That is why Alke' electric vehicles are ideal for work in hospitals, historic town centres, residential suburbs and cemeteries. The most important feature concerns the power system. 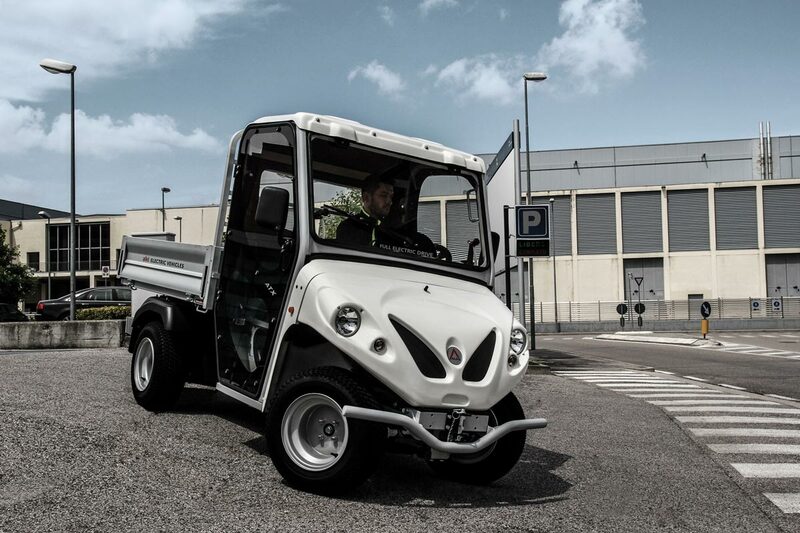 Alke' compact work trucks are powered entirely by electricity - and this positive for the environment, since harmful CO2 emissions are not generated, as well as consumption. 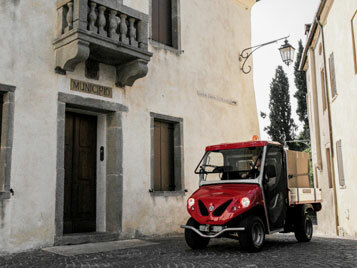 Electric work vehicles can be fully recharged for the negligible cost of 2 euros. 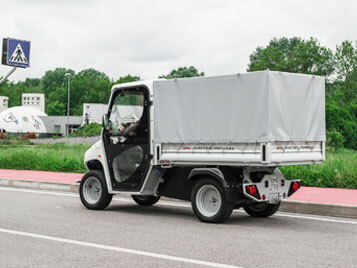 Braking energy is also recovered, which is extremely beneficial for stop & go activities: thanks to this system, frequent stops no longer cause higher consumption - which can actually be reduced by up to 30%. 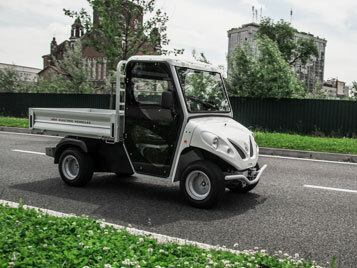 Lastly, high quality construction materials and attention to detail also give Alke' electric vehicles a unique style and excellent performance: load capacity up to 1,000 kg, type-approved towing capacity of 275 kg (3,000 kg in private areas) and a maximum speed of about 44 km/h; the average distance travelled with a full charge varies between 70 and 150 km, depending on operation modes and the type of battery. 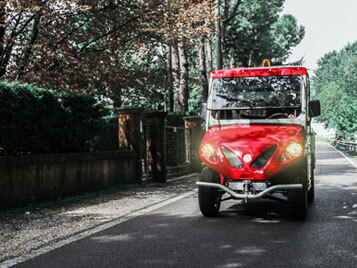 The engine provides immediate maximum torque for fast starts even uphill and is equipped with a cooling system that allows the vehicle to operate even at high temperatures. 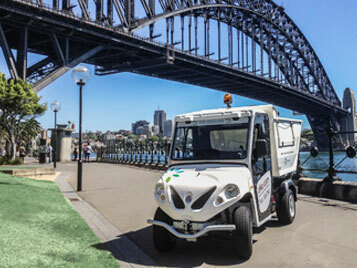 The on-road performance of these vehicles is excellent, so much as that many local councils in small towns and historic cities have expressed considerable satisfaction. 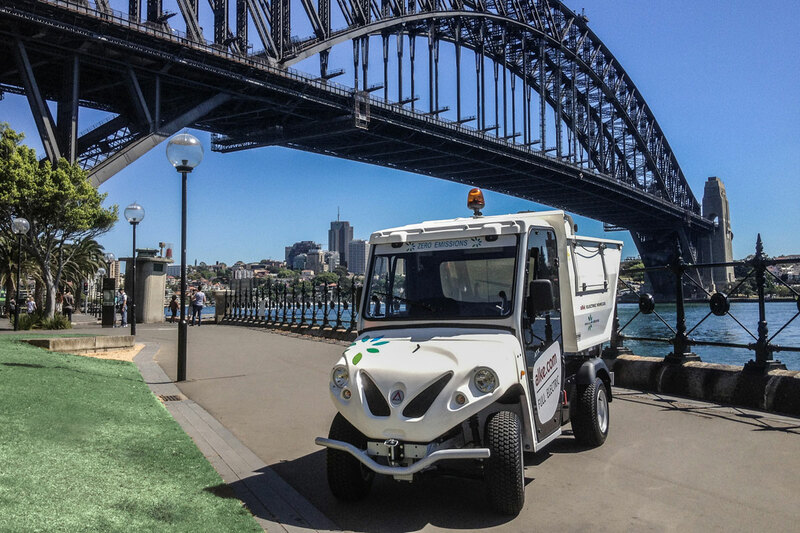 The nature of these areas makes it difficult to carry out routine operations such as road maintenance or waste collection: to overcome such problems, these councils have decided to rely on Alke's expertise. 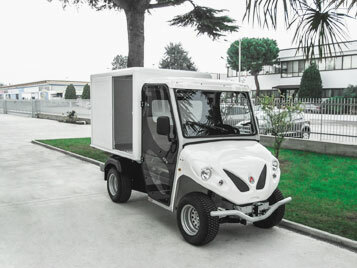 Request prices for Alke' electric truck.